← Teaching the kids to cook. 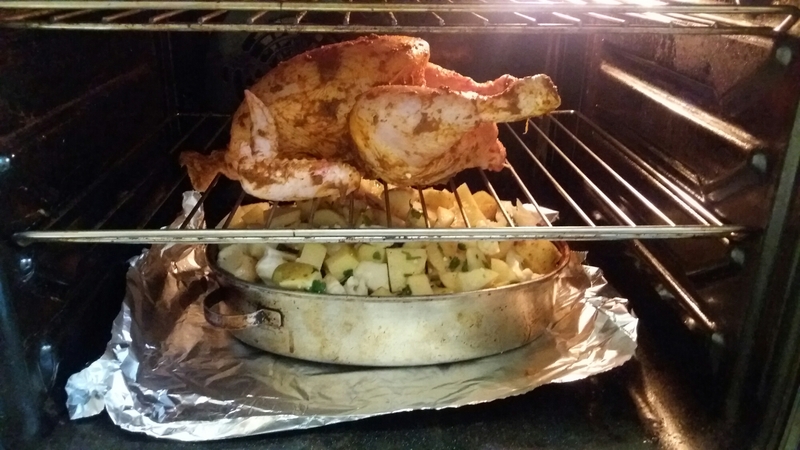 Home » Uncategorized » A different kind of Sunday dinner. A different kind of Sunday dinner. On a Sunday, the U.K. traditionally a Sunday Roast is what is made for dinner with all of the trimmings. 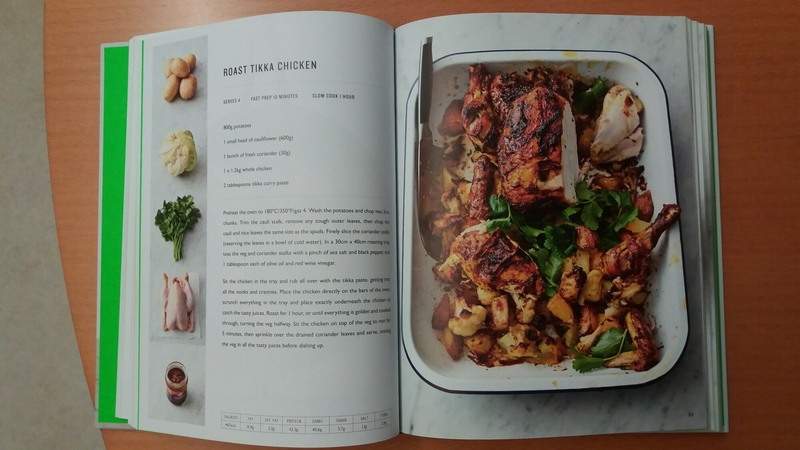 Today I decided to make a different kind of chicken dinner using the book that my kids bought for me at Christmas 2017. A very simple recipie and quick to make. 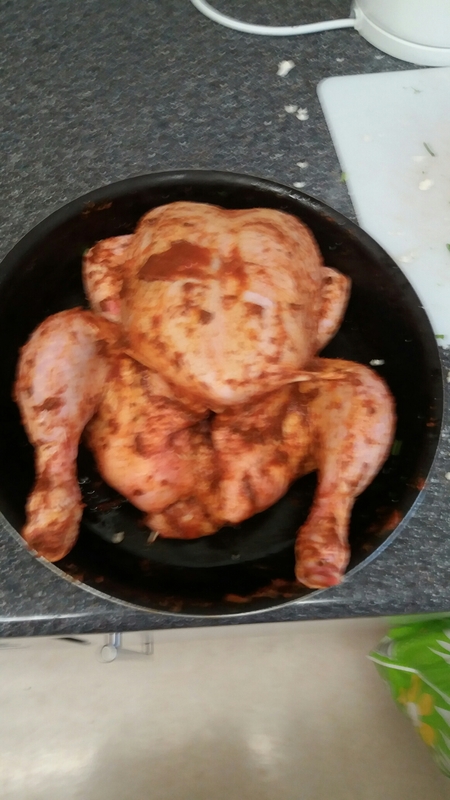 The Tikka paste was a first and I think I put more on the chicken than it said in the book. The vegs were very chunky and overspilled in the pot. 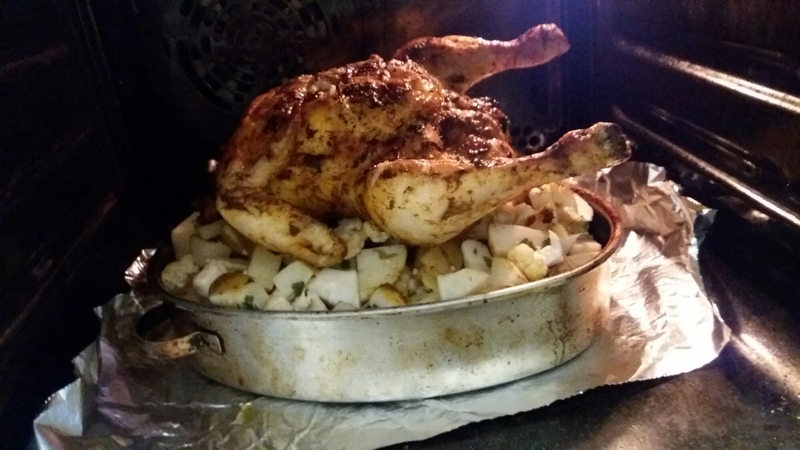 I had never used just a shelf to cook chicken, but there is a furst time for everything. 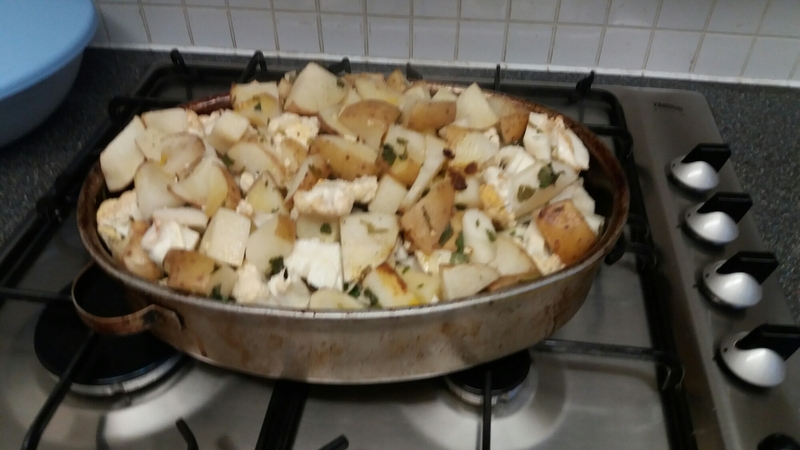 Was a bit of a sceptic of how this was gonna work and after adjusting the temperature a bit and cutting the chicken into pieces to enable it to cook through, I presented the dinner to the family. 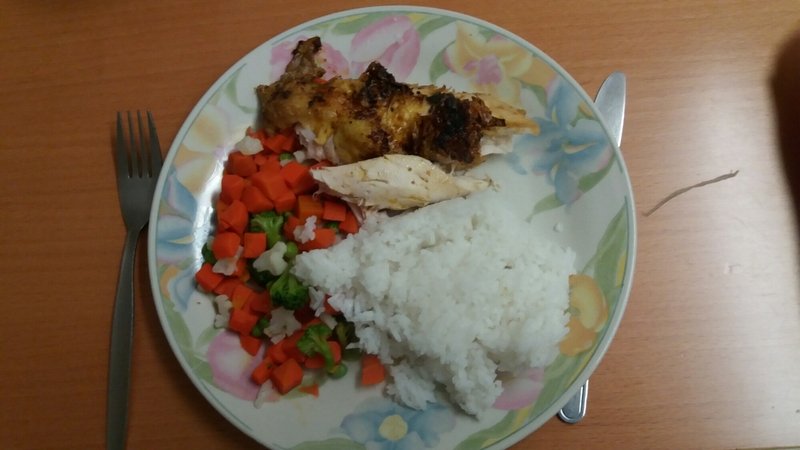 Unfortunately the juices of the chicken did not quite go onto the vegs to enable them to cook, so I had to make rice, instead. 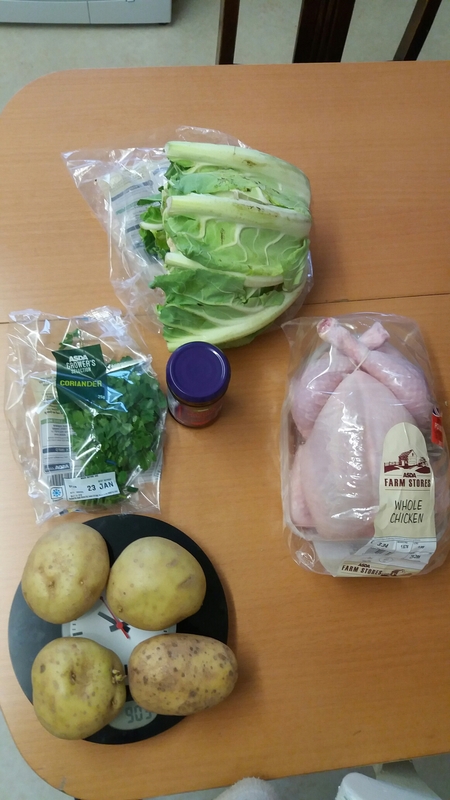 The hubby and kids really liked it and said it was better than my normal roast chicken. It was very enjoyable and filling.